Bizarro is painted more similar to the comics version (Purple cape, boots and trunks, dark purple suit, grey skin). S is NOT backwards. The UPC # for this is 027084568141 (the first and last are the little numbers before and after main code). Hope this helps. My Target has 4-5 more if anybody wants one! I will buy this, and for the Lava Doomsday alone. Although Amazo & Bizarro look really cool too. 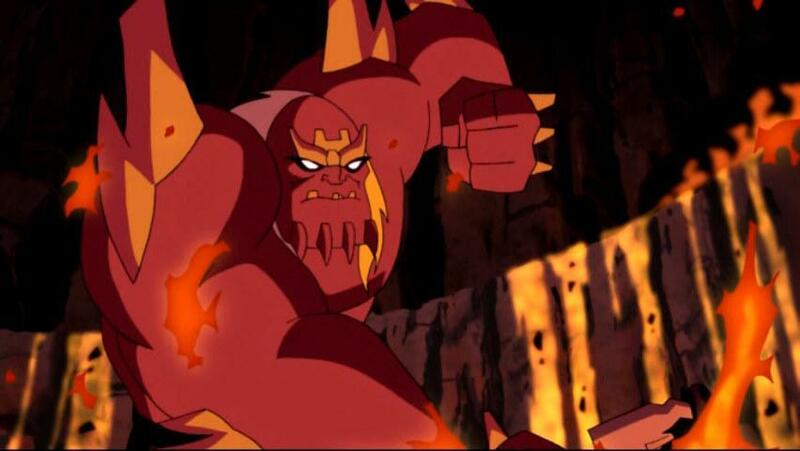 But after I heard about Lava Doomsday a week ago I rewatched that episode, and I MUST have him! He looks awesome in my book. A great idea for a repaint, even more so since this coloring actually did occur during the series. However.... something tells me these will sit on the shelves for awhile and eventually be discounted. We'll see if my patience outweighs my desire to own it and thereby saving myself some money. As much as I wish they would have gone with any number of better ideas for a 6-pack I might still have to Ebay one of those Bizarros. i just do not see any point for this product. waste of plastic IMO. The point seems to be entirely corporate, which is fine with me. If them reusing the Doomsday mold and getting more mileage out of it gets us another large figure in the future, or a few more sculpts, or another yet-unmade character, I'm completely fine with it. Maybe it'll be a raging success, and lead them to tweak a Grodd into a Solovar. Or a Girla-Grodd, with a pink bow hot-glued to its head. I dunno, I would argue the 6" DCSH "Lava reflection" Doomsday was far more wasteful... 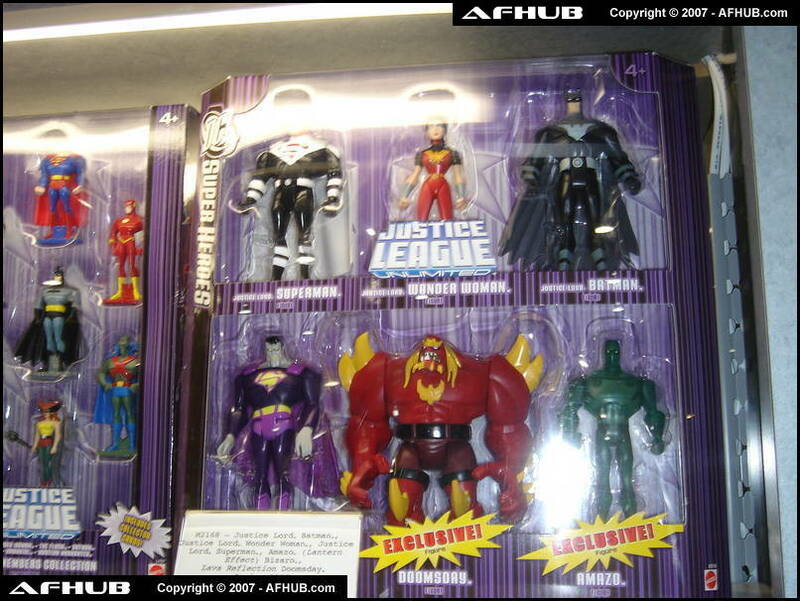 I couldnt figure that one out and could only wonder "why didnt they do a variant JLU Doomsday that way instead!? Now the repainted Luthor in the Grodd set... THATS a waste! I kinda want this set for the green amazo ( I don't know why..lol) I just can't believe that it is out already. 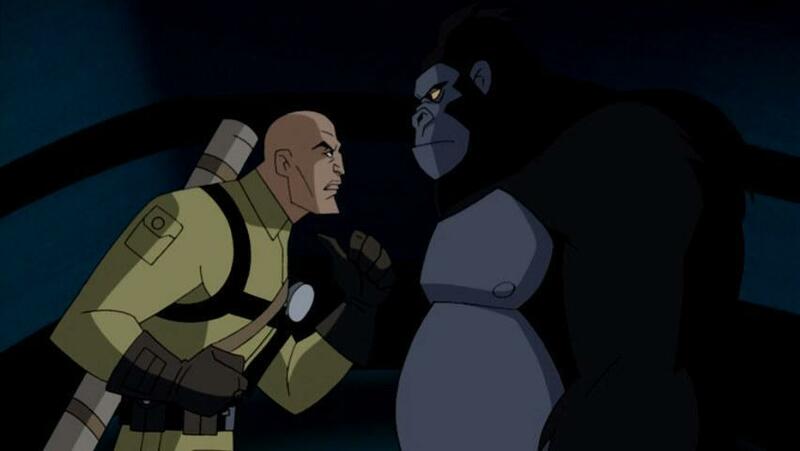 All I can though say is BRING ON GRODD!!!!!!!! Visit Kitty's Pryde for all you comic related Reviews, Discussion and Editorials. I saw it today. I really dig the Amazo ! My concern is this set clogs the shelves and Grodd doesnt make it to alot of strores. I'm not too concerned about that. Target was not shy about putting the first set on clearance. after seeing this pic, I feel even better about wanting this box set, the fact that it was in the show makes it great, now I just need a battle damaged supes to display with him! 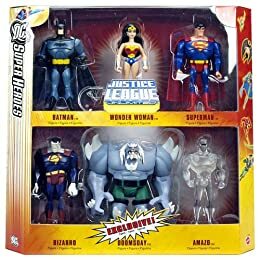 I never got the previous set as I wasn't into JLU at the time, and I really want a Bizarro. Should I go ahead and get this now, or should I wait until they clearance it? Wait, I thought this was a Toys R Us exclusive?